At Presidium Indirapuram, we believe in raising a generation of such fighters! This was evident at the recently organized Akhil Bharti Sports Games 2018 and National Sports Games by UP State Association at Modinagar. 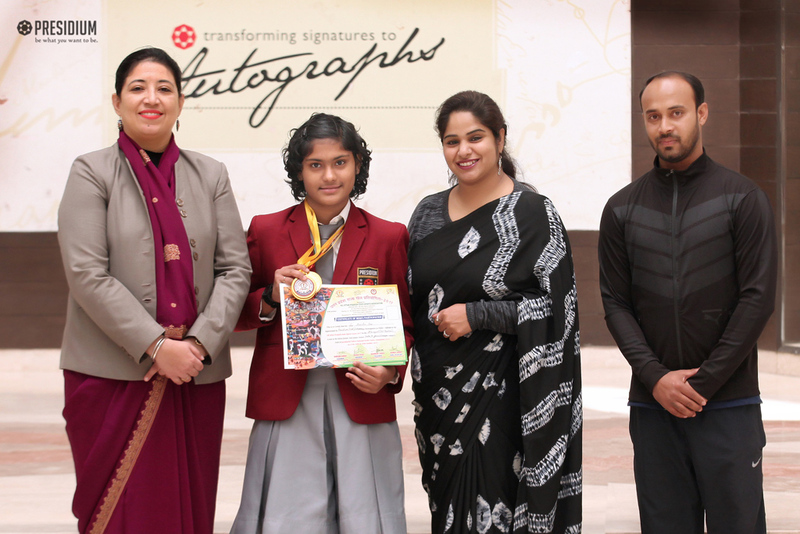 Our grade 7 student Aneisha Das participated in 100 meter and 200 meter races in Under-14 category, and made us proud by bagging Gold Medal in both events. Kudos to Aneisha and her mentor Mr. Bob Acharya!